A homeless woman, who has been sleeping outside Naas Post Office for the past two nights, has issued a desperate plea for help. 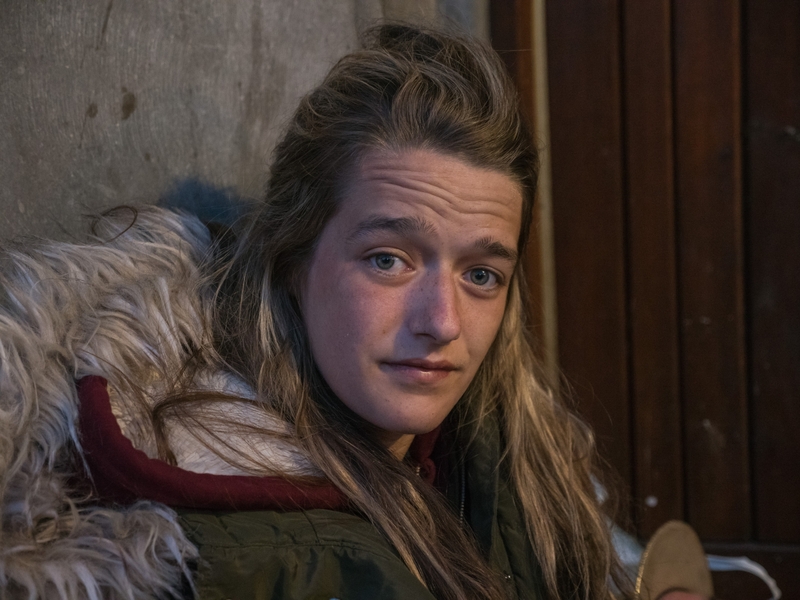 Charlotte Garland (23), who is originally from Newbridge, said she has been sleeping rough on and off since she left care at the age of 18. "The guards gave me blankets the first night but the next day someone stole them. I really need blankets, food and clothes," she said. "When I was younger I was in state care and I lived all over the country. When I was 18, there was no support. That was it. "I have nowhere to go. I have no family and I can't even get social welfare. If I could just get a deposit together for a house and get on a HAP scheme (Housing Assistance Payment), it would be great." Charlotte said she had previously been in emergency accomodation at the Peter McVerry Hostel in Newbridge. "There was crack cocaine in there and I did it once, but I didn't want to go down that path, so I left," she told the Leader. After she left the hostel, she said she had been sleeping in a tent for some time in Newbridge but that got slashed. Her friend, Jordan Mahon is also homeless and has also been sleeping outside the Post Office.